Keil ... focus on new technologies. 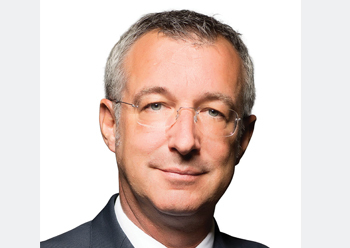 The Gulf region needs to develop technologies that sustainably boost efficiencies in water production and management, says ROLF RICHARD KEIL* of Besix Concessions & Assets. If every human being on Earth consumed the same amount of water that is being used by residents and industries in the Middle East, we would need five times the water supply capacity of our planet. To cater to the huge demand for water in the region, desalination of seawater remains the most accessible and sustainable upstream source for potable water production, to feed an integrated total water management system. The Middle East has been spearheading a technology transition, driving the potable water production industry to apply new and competitive technologies, such as reverse osmosis. Sea water reverse osmosis (SWRO), which has an average recovery rate of 45 per cent, is currently the state-of-the-art technology adopted to supply municipal water. However, desalination technologies are bound to be continuously improved upon to become even more competitive. Among the innovative solutions that have reached the pilot stage are reverse electro dialysis (RED) and ceramic membranes. Today, less than 10 per cent of water used is being treated to a level that would enable its re-use in industrial, agricultural and governmental applications, thereby recovering three per cent of production into a circular economy. To cope with the immense capital expenditure and operating skills required to supply reliable water services to a growing population and economy, governments in the region have turned to public-private partnerships (PPP) and build-operate-transfer (BOT) models over the recent past. Among other recent developments, the recent foray into renewable and nuclear energy sources has allowed to decouple water and power production – which is considered the state-of-the-art for this sector. This seems to be true also for the status quo of aspirations for an integrated total water management system – whether it be for a city, a state, a country or a cooperative region. We now have need to connect the silos of water production, manage the allocation for human and industrial use, and take charge for the collection and advanced treatment for dedicated re-use. Based on the track record in their cooperation on single projects, both the public and pri-vate sectors are ready to replicate these successfully integrated models and adapt them to their local needs. To do this, the first step is for industrial water consumers to be allocated advanced treated sewage effluent (TSE) sources, allowing a transition period equivalent to that provided on a PPP project timeline to develop and sustainably avail of the required water quality and quantity for their competitive and controlled development. The next step is to establish aquifer storage of the seasonal surplus of advanced treated TSE – such as when the irrigation requirements are lower during the winter season – thus reducing the need to allocate expensive SWRO water for such use. These two measures should be supported by a progressive and carefully planned decentralisation of advanced TSE stations to the vicinity of sewage production and industrial re-use customers, to minimise transmission losses. Integration of total water management in this way needs to come from top and is in line with the visions devised by the Executive Council of the UAE, as well as individual leadership of the Emirates and beyond. The private sector needs to proactively participate and implement advanced emerging technologies that contribute to sustainably boosting both upstream and downstream, reduce power consumption and convert water production process by-products into valuable products such as biogas and industrial salts. SWRO produces a lot of solid and liquid – partially toxic – waste, which is widely discharged back into the open sea. Hence, the sea water in the Gulf region – which is already challenging to treat efficiently – suffers from increasing pollution thus further adversely affecting membrane performance and requiring the increased use of chemicals and of replacements. Water producers are actively looking beyond their traditional set of technologies and seeking suitable solutions that are used in water process systems of other industries, such as food and beverage (F&B) and oil and gas (O&G). Ceramic membranes are at the forefront of this development and are earmarked to be the up-coming, real disruptive ‘game changer’ for the water production industry. Together, we must develop multiple and sustainable services to create value for our future generations, whilst incorporating the evolving demands and needs of end-users and building on strong partnership with all stakeholders. It is our responsibility to act and the time is now!